If like me you were hoping that Oreo were going to wave goodbye to the terrible excuse of a Peanut Butter Oreo you will be sad to hear that this is in actual fact not the case and they have decided, due to popularity, they will now be a permanent fixture…. umm how is this possible? 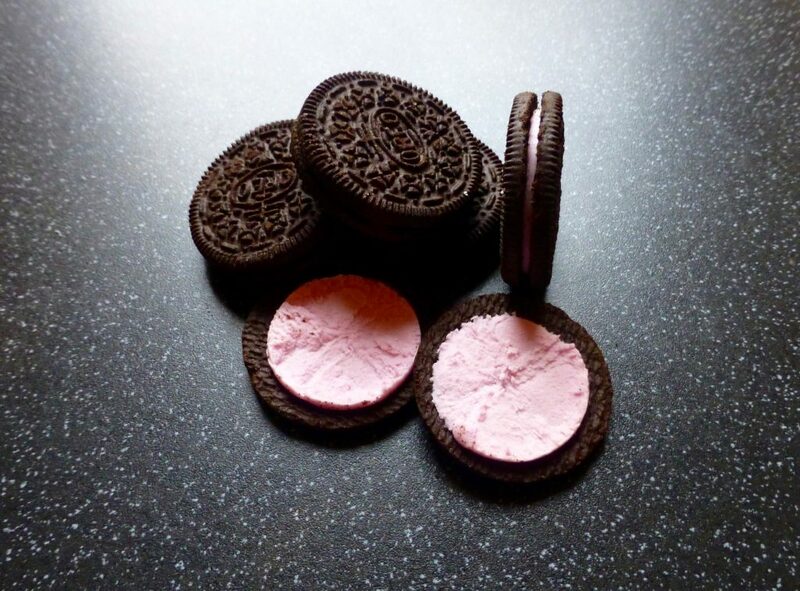 Anyway Oreo have said hello to two new limited edition varieties – Oreo Mint & Oreo Strawberry Cheesecake. Both sound delightful with the Oreo Strawberry Cheesecake being released first, and the Mint being rolled out this month. I have been on the hunt for these since the word go, but do you think I could find them…. No! Surprise surprise! Fear not though because my hero of a Snack Warrior has saved the day and sent me some, all bubble wrapped for protection, along with some very delightful goodies including the best Bag for Life ever, which you may have seen over on Instagram. Combines the traditional cocoa cookie with a wonderfully smooth strawberry cheesecake flavoured creme filling; a glorious combination, guaranteed to tantalise the taste buds and awaken your imagination. 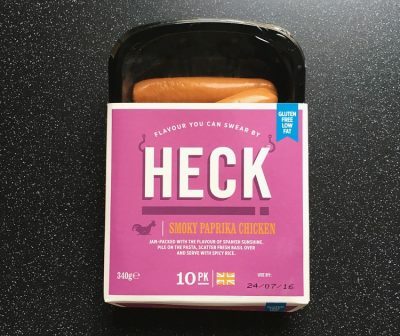 I 100% want it to tantalise my taste buds! Opening the sealed packet I was met with the very delicious smell of strawberry Nesquik milkshake. First off, as I had already suspected, the UK versions are thinner than the American and it in no way had as thick a filling as the Red Velvet Oreo. The cookie was crunchy with that classic lingering dark cocoa taste. 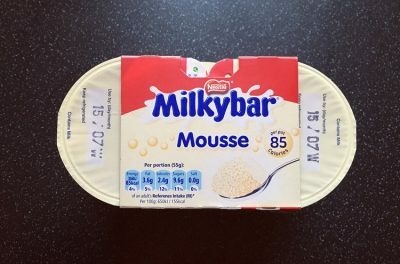 The thin smattering of creme filling was smooth and the strawberry flavour was exactly that, fresh and fruity but very much a back note to the cookie and in no way had a cheesecake twang to it. As a whole the flavours worked perfectly together and made for a scrummy little cookie. Thank the cookie lord that Oreo UK has redeemed itself with this strawberry beauty. If I were scoring this on being Strawberry Cheesecake well Oreo you have missed the mark completely because I haven’t a clue where the cheesecake part comes. Frankly though I do not care because I much prefer a strawberry milkshake any day! The Oreo is however screaming out for more filling, come on Oreo UK sort it out and wang some more in there. That being said the strawberry flavour comes though and tantalise my taste buds it did. I am very much looking forward to it’s minty friend and aside from this all I want now is a Banana Milkshake Oreo and we will be cooking on gas my friends! In the meantime go and grab yourself a packet of these, currently available in Asda, and enjoy!